Your cat hates having fleas, lice, and ticks just as much as you hate seeing these parasites on your pet.These can affect your cat’s way of life, comfort, and happiness. It is thus essential for your pet’s health to make sure that it does not have any parasite in its fur. For this you need the best selling and most popular cat flea, lice, and tick control medications and products. We have these in various brands and all designed to deal with parasites in cats of all types, age, and size. Fiproguard is a fast acting, squeeze-on topical protection against fleas, ticks and chewing lice. Fiproguard Plus is the first approved generic equivalent to Frontline Plus, and contains Fipronil, the same active ingredient used in Frontline Top Spot for Cats. Fiproguard Plus kills ticks which can cause sarcoptic mange. It is also waterproof, staying active after baths. Fiproguard Plus offers premium protection against petsts without the premium price. For use on dogs over 8 weeks of age up. 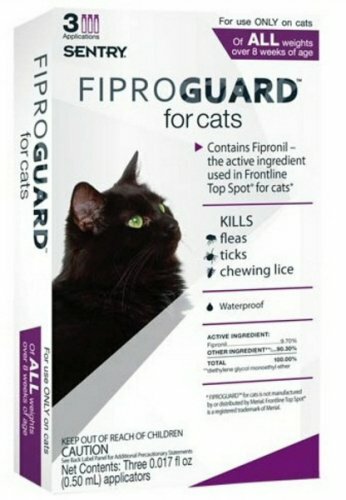 Features: Kills Fleas Kills ticks Kills chewing lice Fight the spreading of Lyme disease which is commonly transferred through fleas and ticks Used for cats 8 weeks of age and older Waterproof Made in the USA Great value and cost Contains firponil which is the same ingredient found in Frontline Top Spot. The Natural Chemistry De Flea Shampoo for Dogs instantly kills fleas & ticks on contact. De Flea Shampoo for dogs safe to use in conjunction with spot on products. The De Flea Shampoo is a deep cleaning shampoo that is soap free and will remove dirt and odors. When dry, the shampoo's visibility fades without leaving any residue. This shampoo works to kill on contact not only for fleas but also for ticks, mites and lice. The formula also is made especially to prevent parasites adapting to become resistant or immune. The Natural Chemistry De Flea Shampoo for Dogs leaves pets clean and is completely chemical free. The shampoo is 100% all natural, just like all of Natural Chemistry's products. For more information on other Natural Chemistry products, check out the related items section of this page. Order the De Flea Shampoo for your dog and ride him of pesky pests today! Contains all natural ingredients with no chemical additives Kills pests on contact Comes in 16 oz bottle Made specifically for dogs! The Original TICKED OFF is the world's simplest tick remover. It's ideal for pet lovers, groomers, campers, sportsmen, hunters, fishermen, hikers, etc. 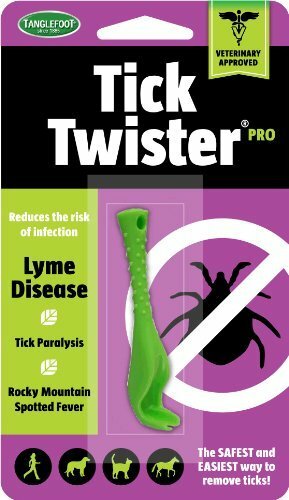 TICKED OFF is the only single-motion tick remover designed to help you remove ticks in a timely and effective manner, with your safety in mind. The simple tool is easy to hold and use and has been proven in removing disease carrying ticks from animals and people. The Natural Chemistry De Flea Shampoo for Cats instantly kills fleas & ticks on contact and is safe to use in conjunction with other spot on products. The De Flea Shampoo is a deep cleaning shampoo that is soap free and will remove dirt and odors. When dry, the shampoo's visibility fades without leaving any residue. This shampoo works to kill on contact not only for fleas but also for ticks, mites and lice. The formula also is made especially to prevent parasites adapting to become resistant or immune. The Natural Chemistry De Flea Shampoo for Cats leaves pets clean and is completely chemical free. The shampoo is 100% all natural, just like all of Natural Chemistry's products. For more information on other Natural Chemistry products, check out the related items section of this page. Order the De Flea Shampoo for your cat and ride him of pesky pests today! Contains all natural ingredients with no chemical additives Kills pests on contact Made specifically for cats! Ark Naturals Neem "Protect" Shampoo uses all-natural oil from Neem trees native to India to naturally cleanse cats and dogs anytime a bath is necessary. "Protect" Dog & Cat Shampoo will not dry the skin and is great for reducing dermatitis caused by insect bites. Ark Naturals Neem Shampoo is an environmentally friendly cleanser made from natural botanicals. Natural, safe, and eco-friendly, this shampoo featuring Neem removes dirt, oil, and sebum from your pet's coat. Made from natural botanicals but doesn't contain sodium laurel sulfate, so your pet's hair can retain all of its natural oils. Coconut oil won't dry skin and reduces dermatitis, helping rid the skin of red spots. Soothes itchy skin so you pet won't scratch as much. Proudly made in the USA! 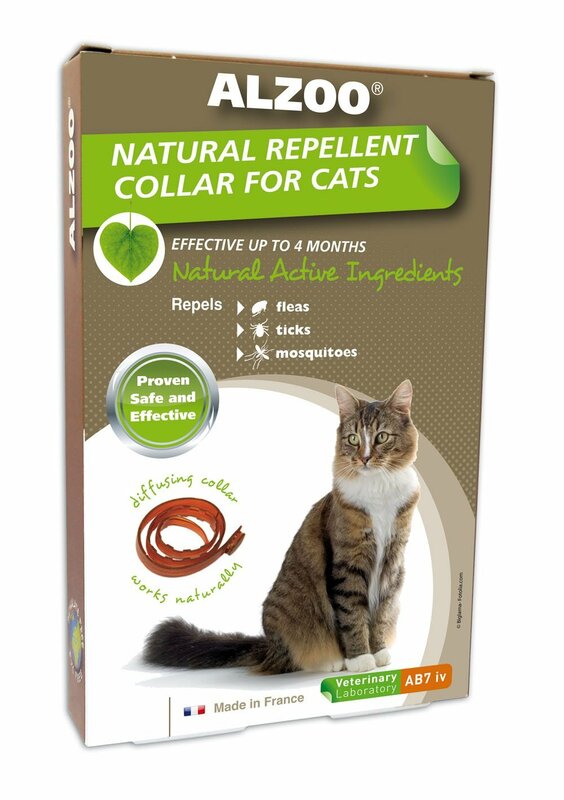 Seresto® for cats kills and repels fleas and ticks for 8 months in an easy-to-use, odorless, non-greasy collar. You'll both appreciate 8 months of continuous flea and tick protection. Cats are independent by nature, but they still need your help with flea and tick protection. Seresto® for cats is designed to be a convenient way for you to help protect your cat from fleas and ticks that can cause bites. Our innovative Sustained Release Technology provides protection from fleas and ticks for 8 continuous months in each non-greasy collar. That's one easy-to-use collar instead of 8 monthly treatments. Truly unique technology for your cat. Seresto® is a unique polymer matrix collar that offers a continuous supply of two active ingredients: imidacloprid and flumethrin for effective 8-month protection against fleas and ticks. That's one convenient, non-greasy, odorless flea and tick collar instead of 8 monthly treatments. The active ingredients are stored within the collar. They are released in low concentrations and are distributed over the pet's hair and skin surface for 8 months. As active ingredients wear off over time, the Seresto® flea collar for cats continuously replenishes the skin and hair coat with a new supply of active ingredients. 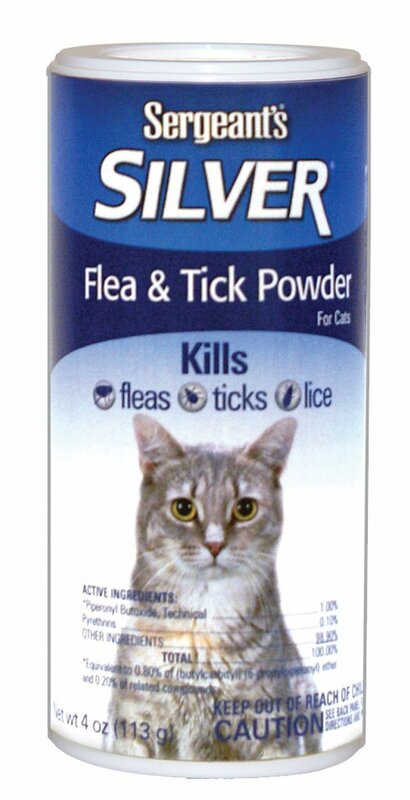 Fleas and ticks are killed through contact with the active ingredients - no biting required. For 8 month prevention and treatment of fleas and ticks on cats and kittens 10 weeks of age and older: REPELS AND kills fleas and ticks Repels and kills ticks for 8 months, including Deer ticks (vector of Lyme disease and anaplasmosis), American dog ticks (vector of Rocky Mountain spotted fever, cytauxzoonosis and ehrlichiosis), brown dog ticks (vector of ehlichiosis, anaplasmosis, babesiosis, and Rocky Mountain spotted fecer), and Lone Starticks (vector of cytauxzoonosis and ehrlichiosis). Prevent tick infestations within 48 hours after application. 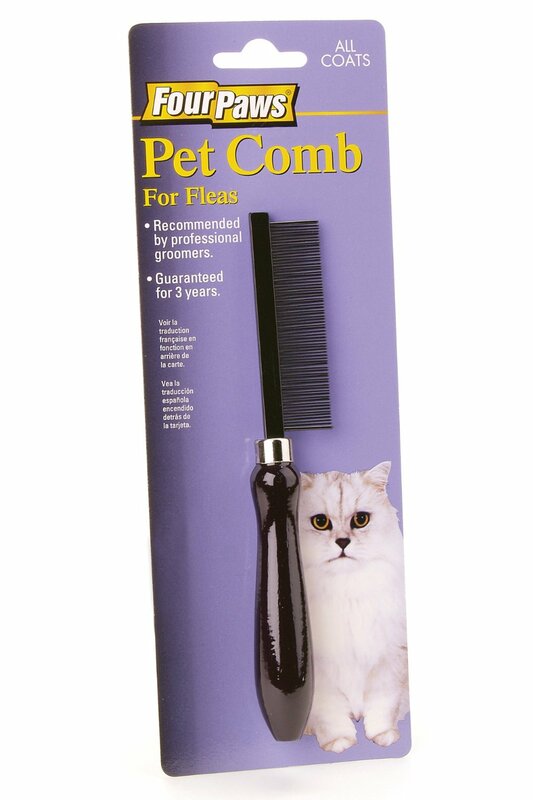 Quickly kills fleas on cats within 24 hours and continues to prevent infestation for 8 months. Treatment with Seresto kills fleas that may vector bartonellosis (Bartonella henselae), tapeworm infections (dipylidium caninum), feline infectious anemia (Mycoplasma spp. ), and rickettsiosis (Rickettsia felis). Re-infesting fleas are killed within 2 hours with protection against further flea infestation lasting 8 months. Kills and repels fleas before they lay eggs. Seresto aids in control of flea larvae in the cat's surroundings following contact with a Seresto-treatd cat. Bayer Polymer Matrix ensures that both active ingredients are continuously released in low concentrations. Make sure to replace the collar after 8 mounts for year-round tick and flea pest prevention. Light reflectors for added visibility in the evening and at night. Bio Groom Protein Lanolin Shampoo is a tearless shampoo concentrate. This unique formula will highlight all colors and make the coat shine! With a baby-mild, coconut oil base, it will thoroughly clean without stripping natural oils from skin and coat. Tearless conditioning shampoo concentrate Highlights all colors & makes coat shine Thoroughly cleans without stripping natural oils from skin & coat Prevents dryness, rinses out completely leaving no irritating residue. Hair dries smooth, manageable, and tangle-free. pH balanced and biodegradable. Safe for puppies and kittens. Safe to use with topical flea and tick treatments. Cruelty and soap-free.